The annual bluegrass weevil (Listronotus maculicollis) is a significant golf course pest in many parts of the Northeast and Mid-Atlantic states. Below is a detailed description of several monitoring techniques that can be used to track the movement of adult weevils. 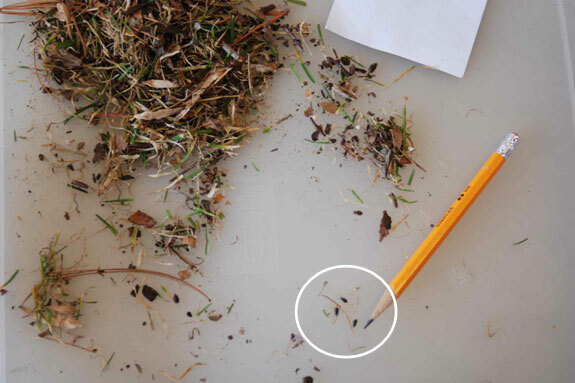 One easy approach is to get down on your hands and knees and look for adult weevils moving across the surface of the turf. This technique is not very effective when looking in overwintering sites (e.g., leaf litter under trees) and usually is not very effective when looking in the rough. 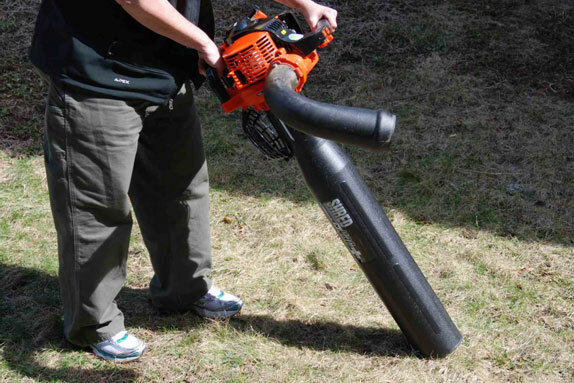 It usually takes longer to conduct a visual inspection than collecting samples with a vacuum shredder (see below). The vacuum shredder (which we have dubbed the "weevil sucker") is a technique that was demonstrated to Laurel Brocklesby and me while we were in New Zealand. Our host, Mark McNeill at AgResearch Lincoln, has used this approach for more than 15 years to collect weevil samples from sheep pastures. We used their vacuum several times a week while in New Zealand and were very impressed with the ability of the unit to collect adult weevils in a wide range of situations. 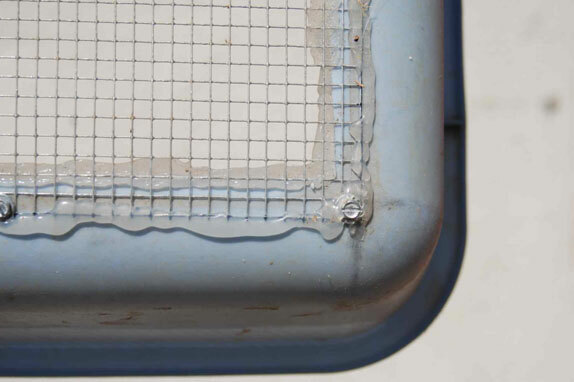 Place the sifted contents in a low-edged white box (or another dish pan) and look for weevils. If the air temperature is below 45, they will not be very active but if you bring them indoors, you will see them start to move quite quickly. Insert the pipe in the ground such that the capped end is slightly higher than the uncapped end. Cut a hole that is the same diameter as the PVC pipe in the side of a 2-liter soda bottle. Put some sort of preservative in the soda bottle (e.g., soapy water, diluted ethyl alcohol) and cap the bottle. 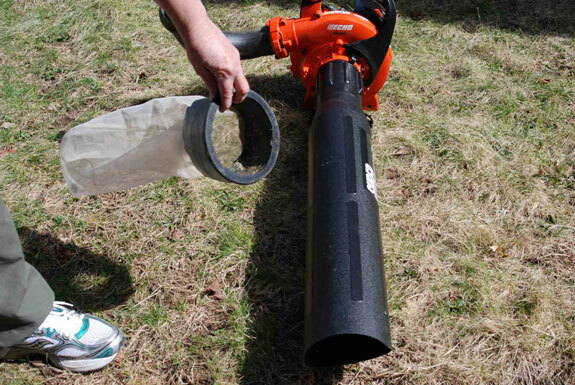 At the uncapped end of the PVC pipe, use a cup cutter to dig a hole, insert the bottle in the hole, and attach the open end of the PVC pipe through the hole in the bottle. Most superintendents mark both ends of the trap with flags or stakes so the area is not mowed accidentally. 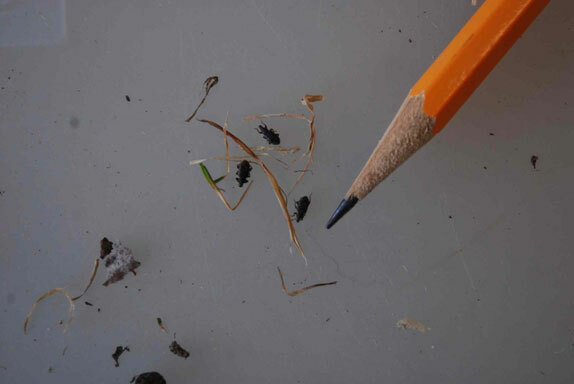 Many superintendents are using a soapy flush (disclosing solution) to look for adult weevils. This technique can be quite effective on turfgrass that is managed at fairway heights and lower, but is perhaps less effective in roughs. Mix a solution of lemon-scented liquid dish detergent and water. 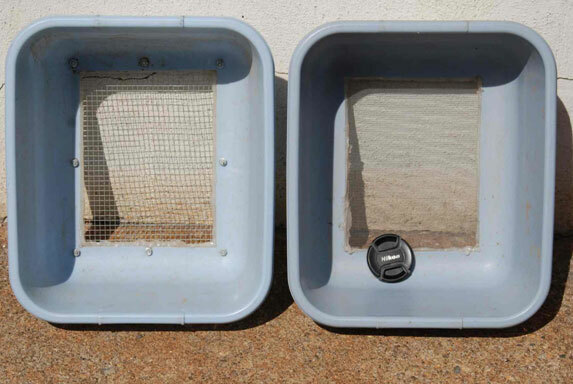 (Dilution rates are usually one or two tablespoons of detergent in one or two gallons of water.) Pour the solution (or apply with a watering can) to an area one to three feet on a side. Many different kinds of insects are irritated by the soapy water and wriggle to the surface. ABW adults will make their way to the surface within a couple minutes in the warm days of summer, but often take longer in the spring when air temperatures are cooler. Some people use a pyrethrin as the irritating substance instead of lemon-scented dish detergent. 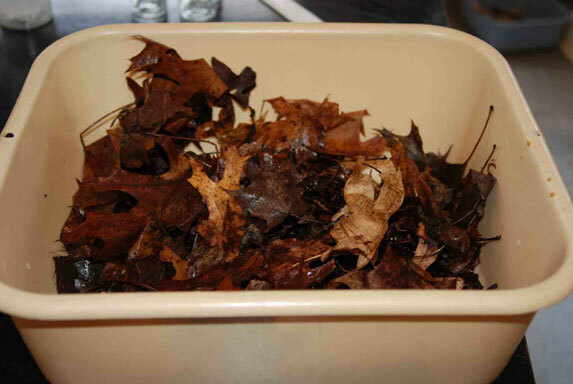 You can collect leaf litter from possible overwintering sites, bring the litter back to your office, and float out any weevils that might be present. 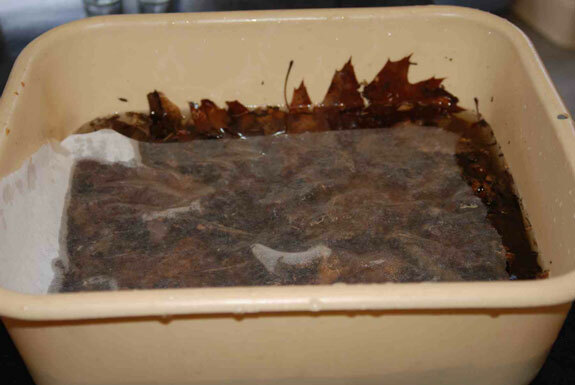 Put the sample in a dishpan and fill the pan with enough luke warm water so the sample is fully submerged. Use forceps or tweezers or a wooden stake to stir up the sample every 10 to 15 minutes. Each time you stir the sample, put a paper towel on the surface of the water. 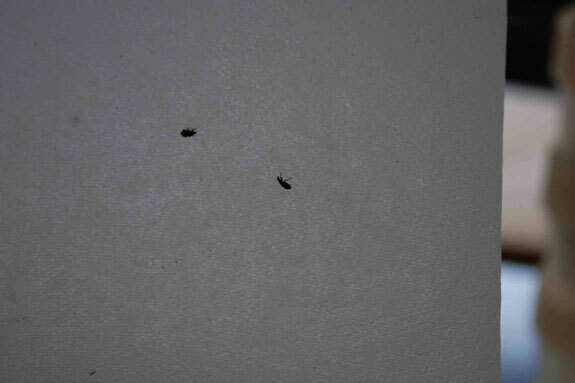 Many weevils will be attracted to the underside of the paper towel, where they will be very easy to see. We usually leave the sample submerged for about an hour – most of the insects will float to the surface in the first 30 to 45 minutes.